One of the cookables we scrounged was anchovy paste , which is one of those wonderful ingredients that taste intense and almost strange on its own but when mixed in with other ingredients becomes a sublime force of taste uplifting. And the bit of fresh chives we threw in...I really must say that sometimes fresh herbs really are the bomb. It made me start dreaming again about growing our own herbs, a bit of chives, a bit of rosemary: maybe in a tiny square area snatched back from the crowding of books on our window seat. A lovely bit of green for the sun to shine through and light up the room. One can dream, can't one? Cook the spaghetti according to the package instructions. To test for 'al dente', or firm but not hard texture, bite through a strand and examine. You will be able to see that the parts that are cooked and not cooked should look different. If it all looks the same, it is ready. What you don't want is mushy spaghetti. That's a no-no for any kind of noodles. In large pan, heat oil at medium heat, add garlic and onions. Sweat the onions until they are transparent. Add anchovy paste and stir in. Crush the tomatoes with your hand before adding to pan. Cook 2 minutes, stirring occasionally. Add white wine and sugar. Turn heat low and cook 10 minutes. Mix in pasta and chives, stir to mix, turn off heat and serve. Hi, would you happen to have a recipe for spaghetti that they serve at hong kong cafes? 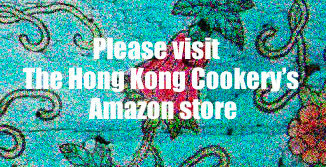 It usually has imitation crab meat, shrimps, vegetables etc. Thank you. Hi Ellen, they usually call it club spaghetti.